In Amarillo College Conservatory Theatre’s new drama, secrets are everything – even in a show based on a story published nearly 200 years ago. 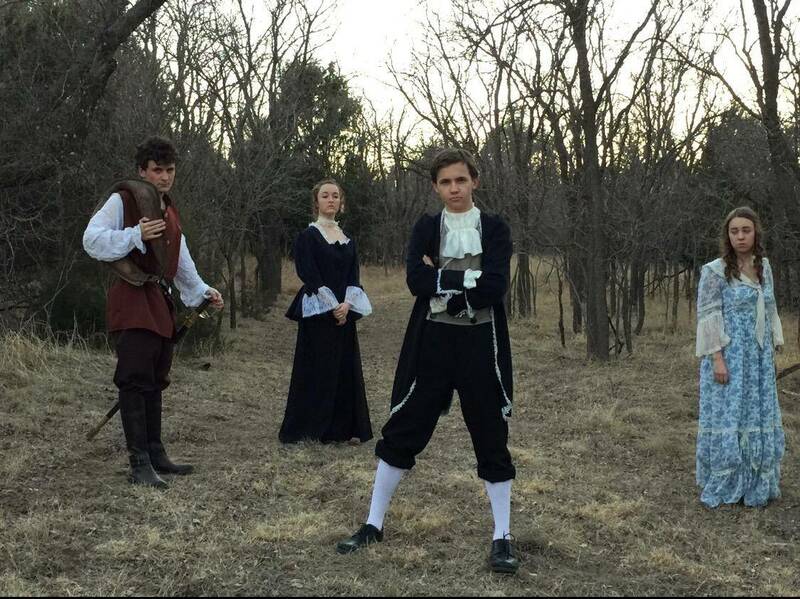 The young actors will stage “The Legend of Sleepy Hollow” at 7:30 p.m. Friday and Saturday and 2:30 p.m. Sunday in Ordway Auditorium on the AC Washington Street campus. Yes, the drama is closely adapted from Washington Irving’s original story, said director Jayme McBride. ACCT typically stages productions (including such dramas as “Our Town” and “Rebel Without a Cause”) in a highly minimalistic fashion, the better to focus the attention on the actors. And while this production, too, will be fairly minimal, it’ll feature some modern-day trickery to bring to life its most famous character. “The confrontation with the Headless Horseman is through multimedia,” McBride said. “Kuker Films created a moving image. This is a story I didn’t want to do if I couldn’t have a Headless Horseman. … I wanted the audience to actually see it, so I found a script (adapted by Vera Morris) that had it in there. The cast of 35, ranging in age from 6 to 18, features Jordan McCormack as Ichabod, Abby Neeb as Katrina, Sean Reneau as Abraham “Brom Bones” Van Brunt and Eleisha Miller as Mrs. Van Hudson. Tickets are $12; a portion of proceeds will benefit the MTK Foundation in memory of Madison T. Knebush.